As the Assistant Secretary of Vocational and Adult Education in the U.S. Department of Education, Brenda Dann-Messier brings an extensive background in the field of adult education to her new job of overseeing community colleges, adult education and technical education across the country. She was confirmed by the Seantae October 5, 2009. Born on April 18, 1949, Dann-Messier and her two brothers were raised by their Jewish parents, Frank Dann and Germana Carpi-Dann, who fled Nazi Germany and Italy in the late 1930s and settled in Warwick, Rhode Island. 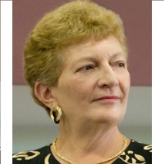 She earned her bachelor’s degree in secondary education from Rhode Island College in 1973. Her graduate studies took place at Rhode Island’s Johnson and Wales University, where she received her Master of Education in 1974 and her doctorate in educational leadership in 2000. Dann-Messier directed two federal TRIO programs, the Rhode Island Educational Opportunity Center (1987-1993) and the Educational Talent Search Program (1991-1993) of the Community College of Rhode Island. In 1993, she was invited to join the Clinton administration’s Education Department as the regional representative for Region I in Boston under then-Secretary of Education Richard Riley. Three years later, she left Washington to work at the Northeast and Islands Regional Educational Laboratory at Brown University. Dann-Messier became president of Dorcas Place, an Adult and Family Learning Center in Providence, RI, in 1999, where she remained until being appointed by President Barack Obama to run the Office of Vocational and Adult Education. Her professional affiliations include serving as a member of the Rhode Island Board of Governors for Higher Education and chairing the Academic and Student Affairs Committee for the board. Dann-Messier’s husband, Daniel Messier, is a retired teacher.